Some children and adults with autism may not respond to verbal communication. If you or a loved one has an autistic child or adult, this Autistic “ALERT Autistic Individual May Not Respond” Emergency Decal can be placed on a vehicle, office, home or any window. In case of any emergency this sticker is to let first responders know of your child or adult situation. Some children and adults with autism may not respond to verbal communication. 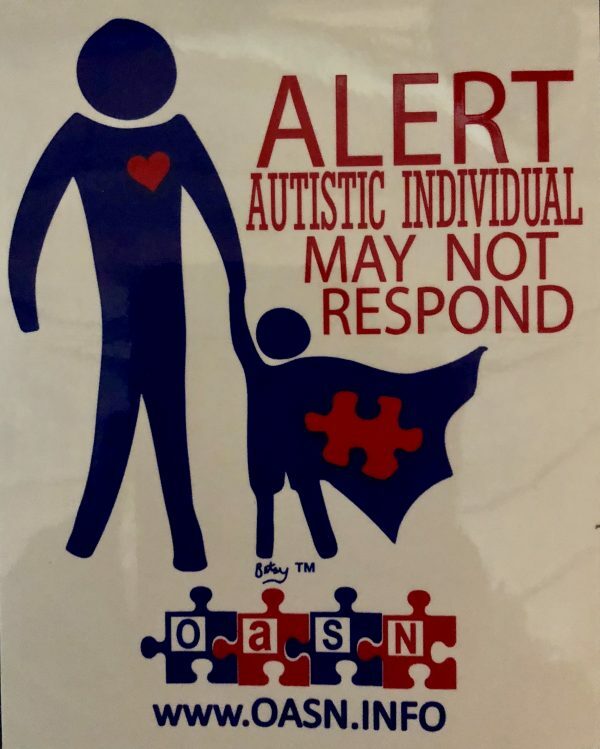 If you or a loved one has an autistic child or adult, this transparent decal reads “ALERT Autistic Individual May Not Respond”. This Emergency Decal can be placed on a vehicle, office, home or any window. In case of any emergency this sticker is to let first responders know of your child or adult situation to be better equipped with the situation. Great for your window or vehicle!